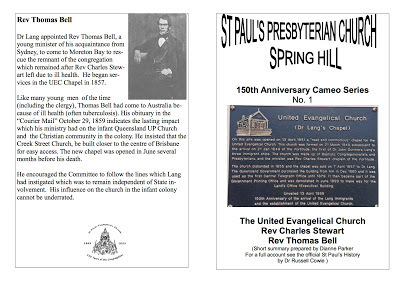 On 20th August 1863, The Creek Street Presbyterian Church congregation was founded, and began services of worship in a wooden building in Creek Street, Brisbane. 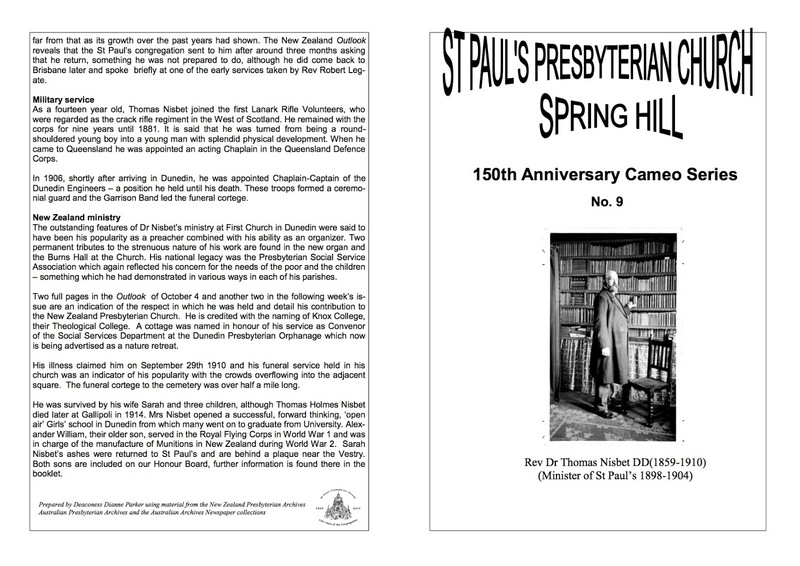 On 5th May, 1889, the congregation renamed itself the St. Paul’s Presbyterian congregation, in a new church building on what was then Leichhardt Street, Spring Hill, Brisbane. 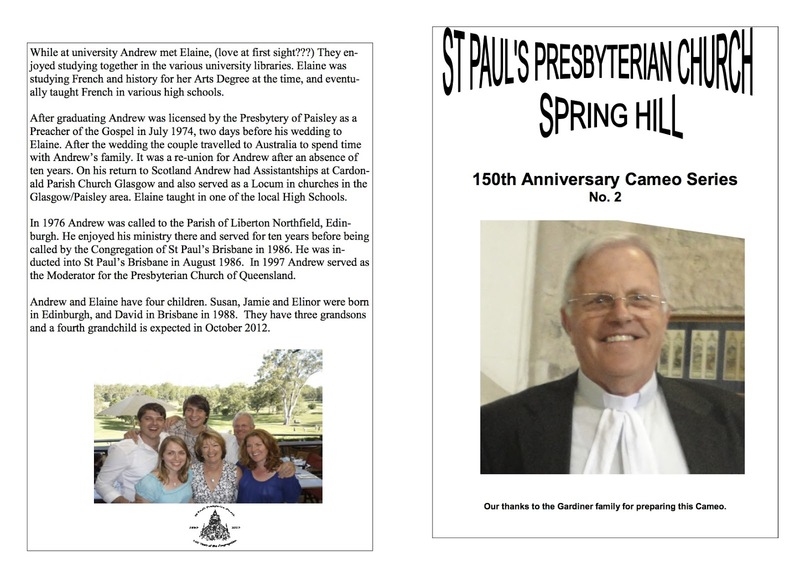 Of the 150 years of its mission, the congregation was, for the first 26 years, known as the Creek Street Presbyterian Church. 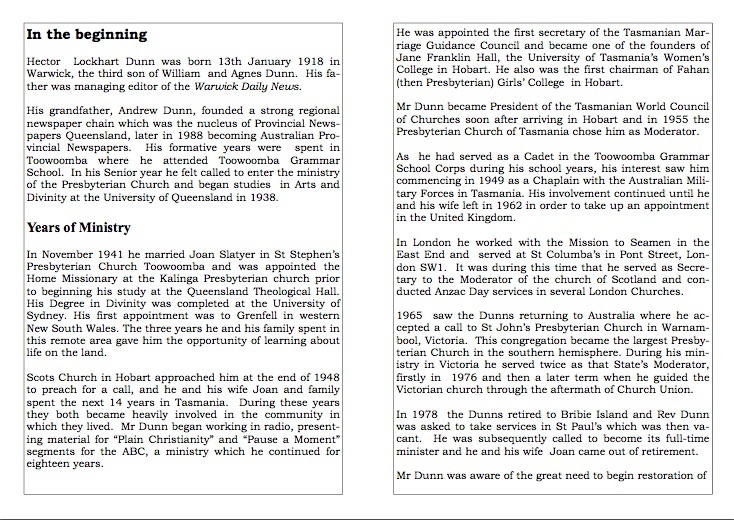 During the first decade of Queensland’s establishment (from 1859) as a separate colony, several Presbyterian congregations emerged, each reflecting characteristics transplanted from parent congregations in Scotland and Ulster. 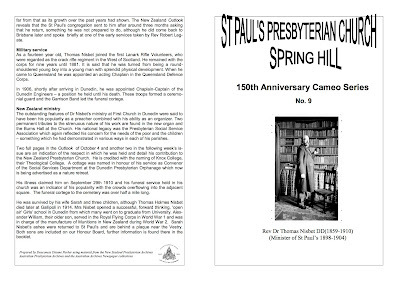 The Creek Street congregation began its unbroken period of identity on 20th August 1863, as a member congregation of the United Presbyterian Church of Scotland. 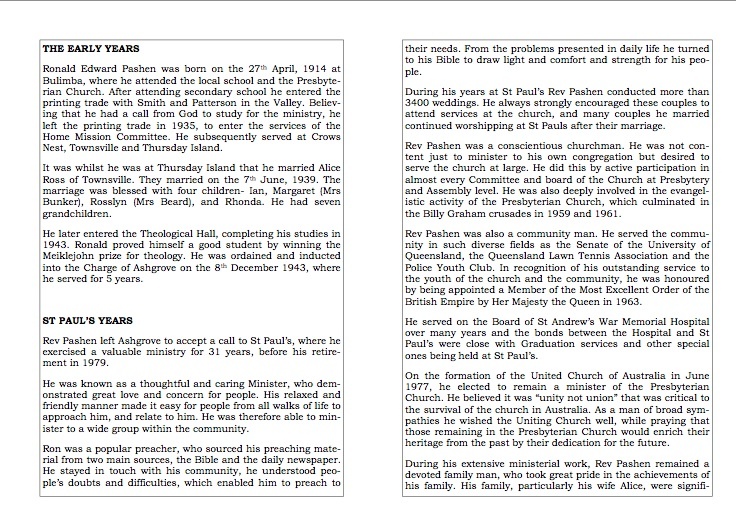 The major feature of this branch of the mother church was the insistence of its members that their church claimed total freedom from control by monarchy or government, plus freedom from patronage, possessing the ‘true’ Presbyterian right of the congregation to call its own minister. The congregation conducted its services in a small wooden church in Creek Street that had been built in the 1850s by a previous congregation that had since lapsed. The revival was the result of the arrival and subsequent initiatives of the Rev. 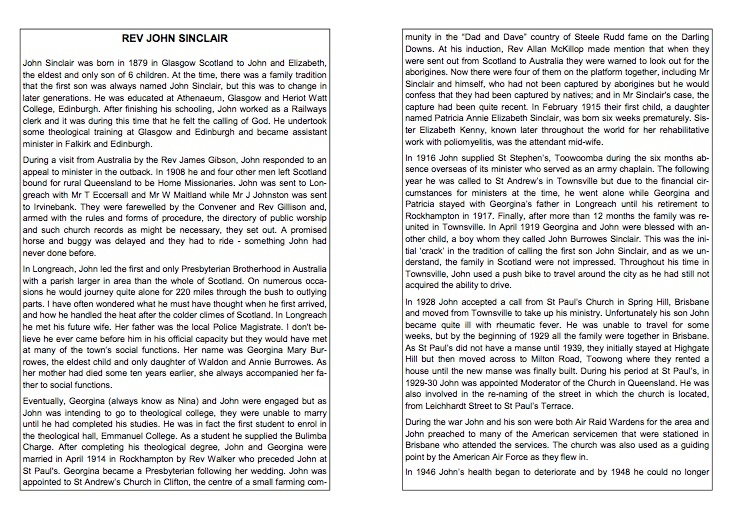 Matthew McGavin, M.A., who had been a minister at Stonehouse and Airdrie, in the county of Lanark. 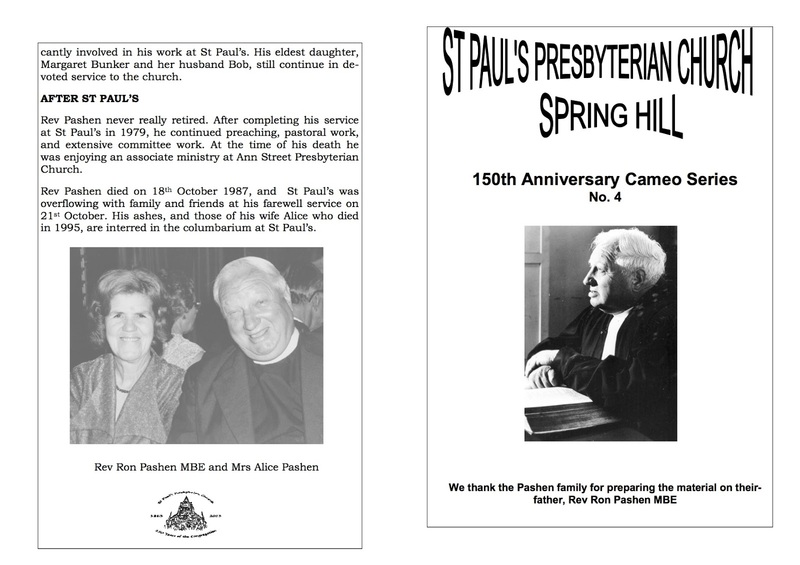 Thus began the continuous activity of the congregation later known as St. Paul’s. 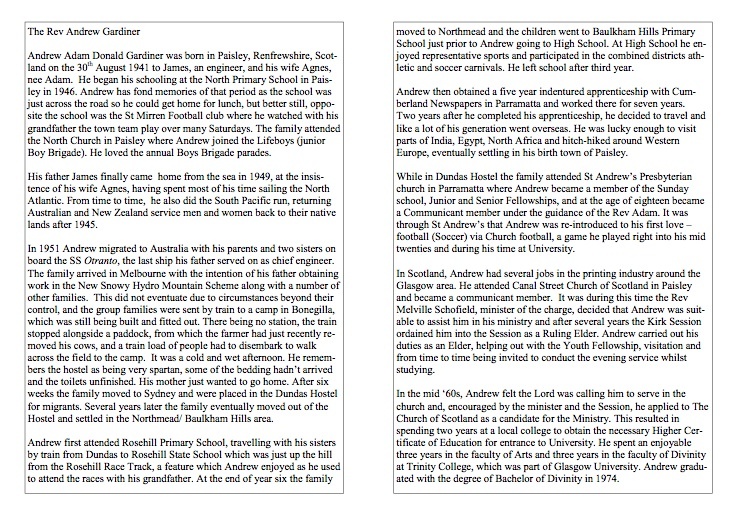 The foundation elders listed their addresses, inter alia, as Kilmarnock, Gourock, Glasgow and Paisley. The Scottish heritage was thus heavily emphasised in both the ministry and the session. When the other Presbyterian congregations in Brisbane agreed, in November 1865, to put aside the Scottish-based divisions and form a Presbyterian Church of Queensland, the Creek Street congregation at first declined to participate on the grounds that the formation of such a Union could become another means of placing congregations under crown or colonial government control. 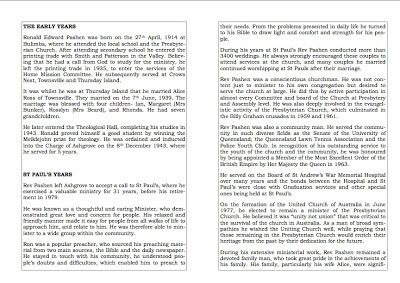 During the first decade the congregation increased its numbers significantly, credit for which growth must rest with the vigour and effectiveness of the foundation minister, Rev. Matthew McGavin, who served as minister from 1863 to 1874. 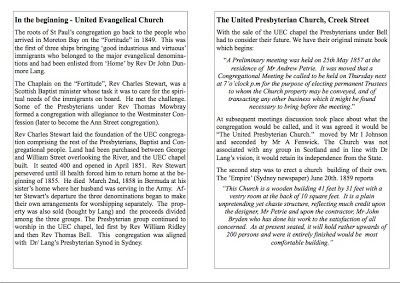 The congregation acted swiftly in planning for expansion. They authorised the raising of a bank loan for the building of a stone church. The building was completed and dedicated in 1876, coinciding with the arrival from Scotland of Mr. McGavin’s successor, the Rev. 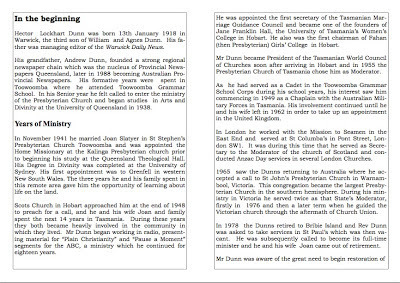 John McSwaine. This stone church was used for only ten years. The 1870s and 1880s were a time of rapid growth and ‘boom’ conditions, stimulated by gold rushes at Gympie and north Queensland. Banks in particular, generated demand for inner-city properties. 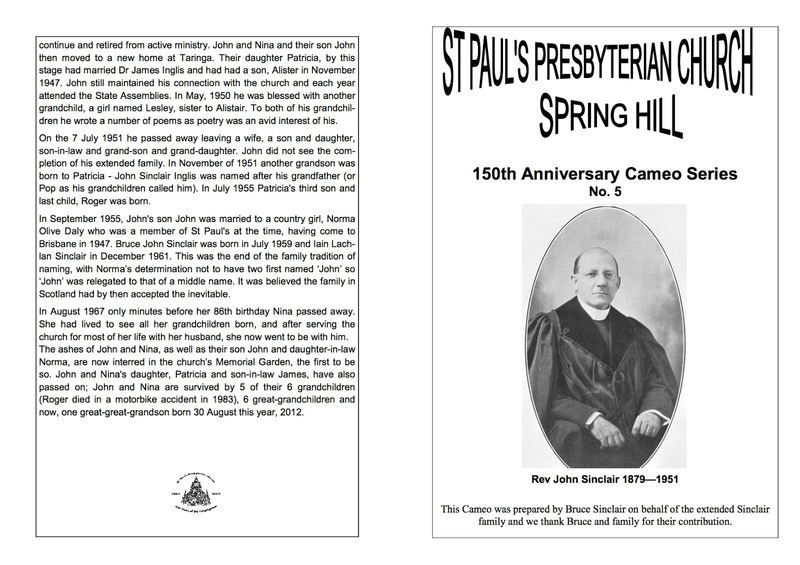 The congregation, in 1885, accepted the sale of the Creek Street property for the substantial sum of 18,750 pounds, and embarked on the project of transferring their place of worship to another site. A site comprising three properties in upper Leichhardt Street (as it was then) was selected. A house on one of the properties had been the location of the first children’s hospital in Brisbane. 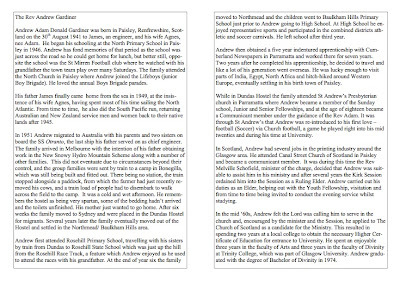 The congregation was fortunate in obtaining the services of the gifted architect Francis Drummond Greville Stanley, who had been Colonial Architect and responsible for many of the most elegant buildings in the city. The Sabbath School Hall, as it was then called, was built first, and was brought into use for worship in 1886, while work proceeded on the church itself. 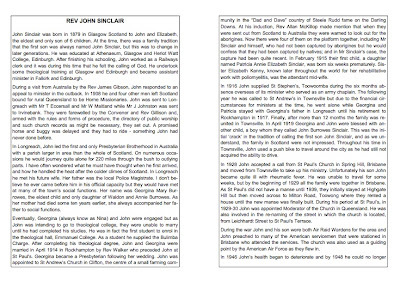 After many misgivings on the matter of the costs of such a large structure, the new church was dedicated to worship on 5th May 1889. On its completion, St. Paul’s was visible from all parts of the city, and was frequently referred to as “the kirk on the hill”. The Brisbane Courier (31st December 1904) described it as “one of our most conspicuous and attractive of city landmarks”. 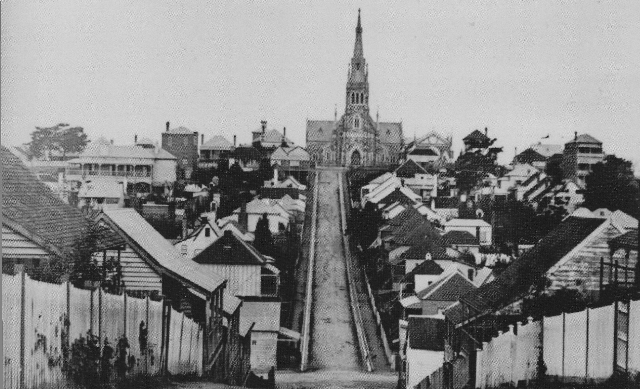 The church so effectively imposed its presence on the district that, in the 1930s, that portion of Leichhardt Street in which it stands was re-named St. Paul’s Terrace. From its re-launch in 1889, the St. Paul’s congregation maintained its mission in Spring Hill, recovering in the late 1930s from a period of diminished numbers during the Great Depression. 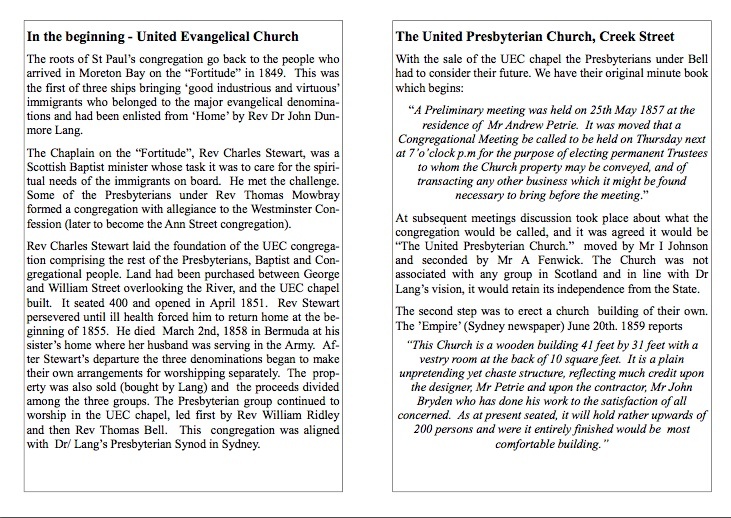 A particularly significant event occurred in 1977 when the congregation voted to remain Presbyterian rather than to join the Uniting Church being formed at that time. 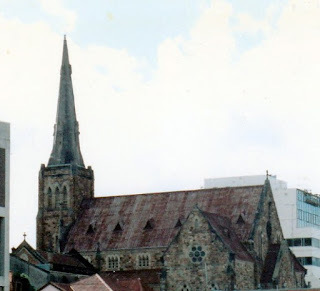 By the 1980s, the building was deteriorating in much of its roofing and stonework. 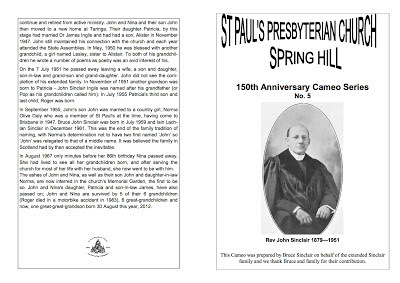 A group called “Friends of St. Paul’s” undertook to contact persons with a past association with St. Paul’s through marriages, christenings and membership, and to invite them to a “Back to St. Paul’s Day” on the May anniversary each year. 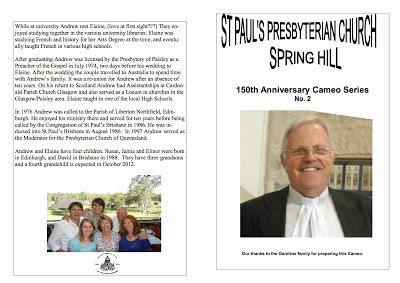 This has now become an annual event and an effective fund-raiser for restoration. 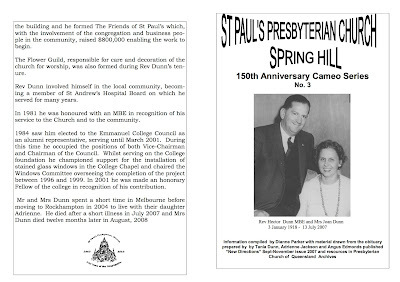 To give effect to the fund-raising, a St. Paul’s Restoration Trust, a legal entity, was also formed, and since the 1980s has achieved numerous restoration projects, most notable the renewal of both the Sunday School hall and church roofs, the cladding of the steeple, and the renewal of the six pinnacles. 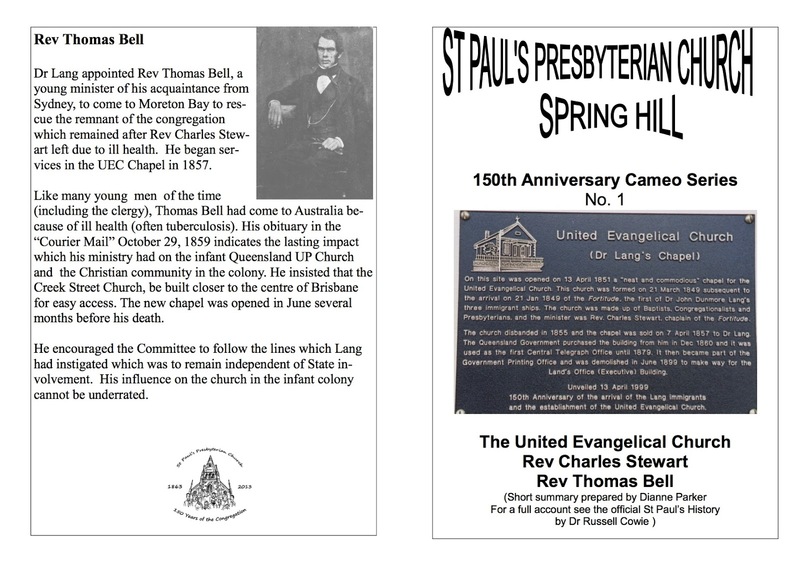 Most of this work has been funded by the members of the congregation themselves, but with contributions from both the state and federal government, and the Brisbane City Council (a situation of which the founding fathers would not approve). 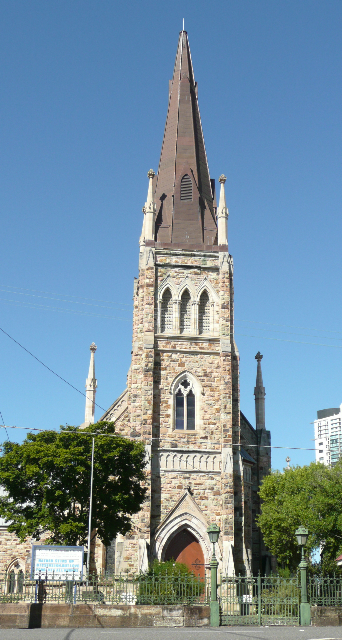 St. Paul’s as a building, is listed by the Australian Heritage Commission as a “Registered Place” as an historically significant building: a typical late nineteenth century effort to preserve, in a new colony, the mainstream European ecclesiastical architectural traditions manifested in the English Gothic style. It would be of little significance, however, without a strong congregational determination to maintain a place of worship in the inner city area.